If you read The Dresden Files novels, chances are you know how addictive they are. 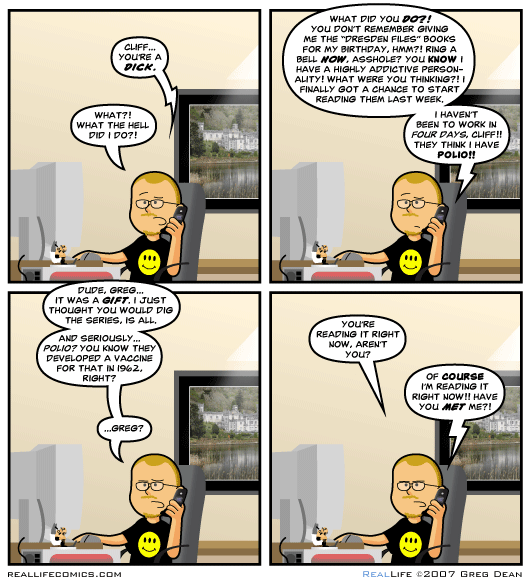 (I still chuckle whenever I come across the Real Life comic strip by Greg Dean about The Dresden Files.) And if you fall under their spell, the wait between the release of new Dresden Files novels can be really nerve-wracking. Luckily for those addicted fans, The Dresden Files comic books help make the wait between novels more bearable. So far, the first two novels in the series, Storm Front and Fool Moon, have been adapted into graphic format. And even though they simply rehash stories that the fans have already read at least two of three times, they are a worthy and refreshing adaptation of the situations and characters the fans have come to love (and that the short-lived Syfy TV series got wrong − a hockey stick as a magician’s staff, really?). To the delight of the fans, Dynamite did not stop at merely adapting the novels. Starting in 2008 with Welcome to the Jungle, Dynamite started publishing original, unpublished stories of The Dresden Files in graphic format. 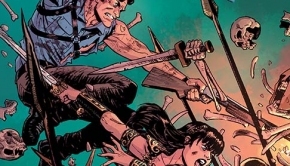 Welcome to the Jungle is a prequel to the first Dresden Files novel Storm Front, which was the perfect starting point for original Dresden Files graphic novels. It was a solid start. A few more original graphic novel followed every year or so. They are: Ghoul Goblin (2013), War Cry (2014), Down Town (2015), Wild Card (2016), and Dog Men (2017). Dynamite released the hardcover reprint of Dog Men last February 2018, and this is a great opportunity for fans to catch up should they have missed some, if not all, of the issues. The original six-part mini-series was published from June to November 2017. The story takes place between the novels Small Favor and Turn Coat. So, a bit later in the novels’ chronology, and some time after the terrible events of the original graphic novel Wild Card; events that left their mark on Dresden. Dog Men introduces us to a wizard on the ragged edge, angry and a hair’s breath’s away from the Dresden Files equivalent of the Dark Side of the Force. 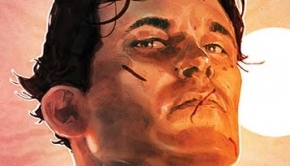 Mark Powers is given writing credit, but a quick glance at Jim Butcher’s website lists Butcher for story and Mark Powers for adaptation. 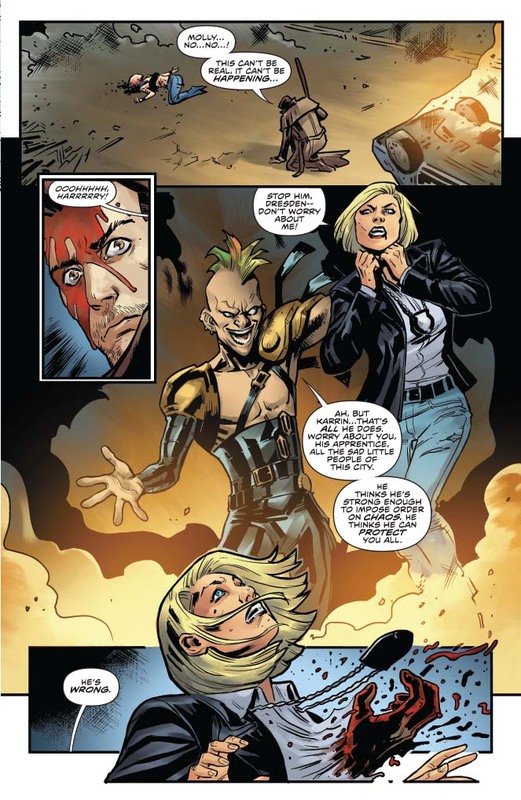 Powers has worked with Butcher ever since the Storm Front adaptation. Whatever the extent of Powers’s involvement in the story, he’s obviously soaked in enough Dresden lore by now to make it read and feel like the real thing and not like a “guest director of the week” kind of thing. Dog Men is steeped in typical Harry Dresden goodies: the witty, sarcastic, self-deprecating humor; enough pop culture references to keep the well-rounded geek satiated; the refreshing take on magic; and all the essentials of a good urban fantasy tale so rich you can almost taste the stale nuts from the bar and smell the fetid breath of the ghouls. It’s all there; just like in the novels, but with fewer words. Dog Men reads well. It’s easy to collect a run of comic books under one cover and call it a graphic novel, but Dog Men reads like an actual novel. And a good one too. The story is self-contained. A total Dresden newbie could pick it up and totally get it. It’s not a mere filler or prequel to another book. Considerable thoughts went into developing the characters, both old and new. Even the G-men, ofttimes mere two-dimensional narrative fodder, are given some substance. Dog Men is particularly interesting because of the transformative cycle Dresden goes through that is both convincing and at times even relatable. And that is the secret of good fantasy storytelling; when characters, no matter how fantastical the setting, are so anchored in reality that we can actually relate to their struggles and connect with them beyond mere entertainment. 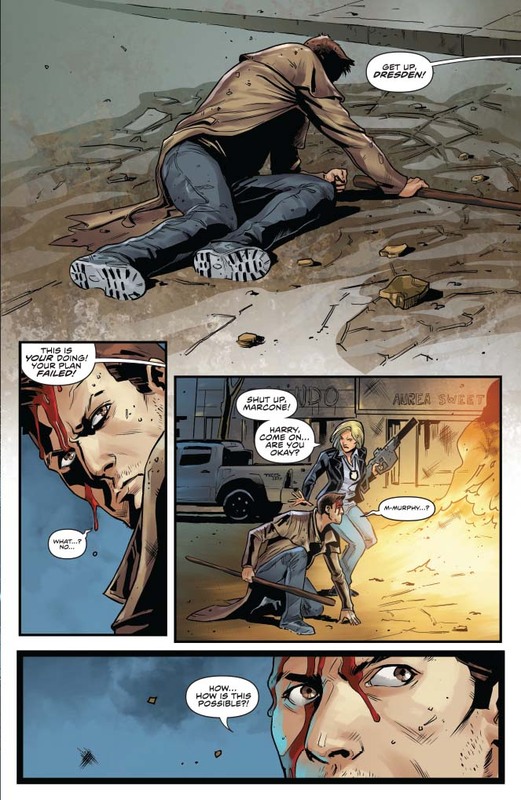 That is no easy feat for a comic book, but that is what we have come to expect from Dresden Files graphic novels and this one does not disappoint. A number of different artists have been involved with The Dresden Files graphic novels since the release of Welcome to the Jungle, and one of the most surprising results of this wide gamut of illustrators is the fairly constant style and visual appeal of the series. In Dog Men, Diego Galindo (Red Sonja, Army of Darkness/Xena) takes over from Carlos Gomez who illustrated the three previous series. His art is on par with every other artist who has contributed to the Dresden Files series. His cover work is not as impressive as some of the others we have seen in the past, namely those of Chris McGrath who also contributed covers for the novels. My favorite Dresden artist so far has been Ardian Syaf who was along for the ride only for the first two series, Welcome to the Jungle and Storm Front, but Galindo can carry on the Dresden legacy very well. The art is not necessarily great, and it is at times borderline sketchy, but it is consistent. The art still surprises at times in Dog Men. The scenes in the woods are particularly haunting and emotionally gripping. I am always particularly pleased with the way the main players are pictured in all Dresden graphic series. Great work and details obviously went into bringing Dresden, Murphy, Morgan and the other main characters to life. Overall, hit or miss? 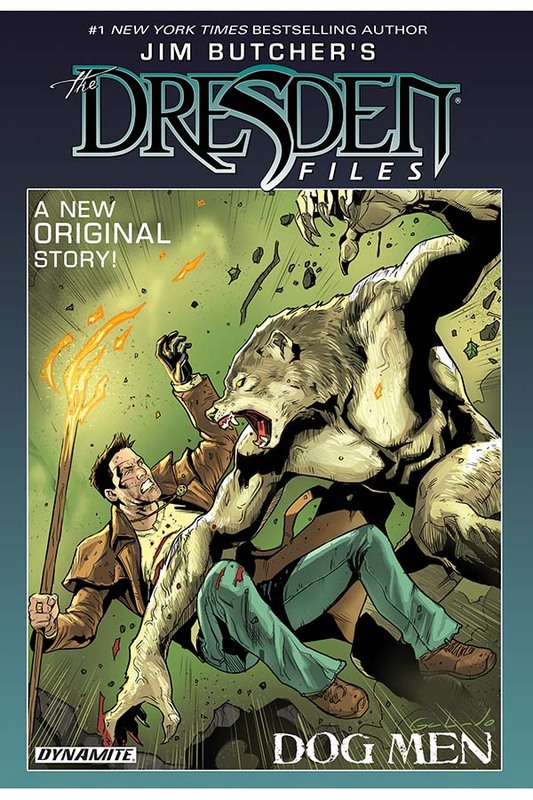 It will depend on how each individual reader originally pictured the books, but Dog Men like all other Dresden graphic novels is definitely an improvement over the television series. Don’t get me wrong, I loved the TV series regardless of some of the reviews it received. I think it died way before its time. Paul Blackthorn, Valerie Cruz, Terrence Mann, Conrad Coates and especially Joanne Kelly as vampiress Bianca gave amazing performances. The sets were awesome. The themes were interesting. The series was trying to find its voice, but that is the case with most series during their first season. The biggest problem was that the production team took too many liberties with the source material − not to the extent of, say, The Shannara Chronicles did with Terry Brooks’s series, but along the same lines. The television series only lasted one season. It aired in 2007 and fans complained bitterly about Dresden, Murphy, etc., as falling way short of their vision of the characters. 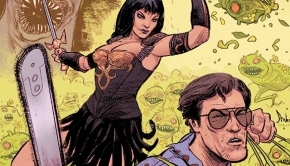 When The Dresden Files graphic novels started coming out in 2008, some of the fan still had the bitter taste of the television series in their mouth. The graphic novels’ success was helped by the evident intent of staying truer to Butcher’s vision. Reading the graphic novels is pretty much like watching the Harry Dresden pictures on the covers of the novels come to life. 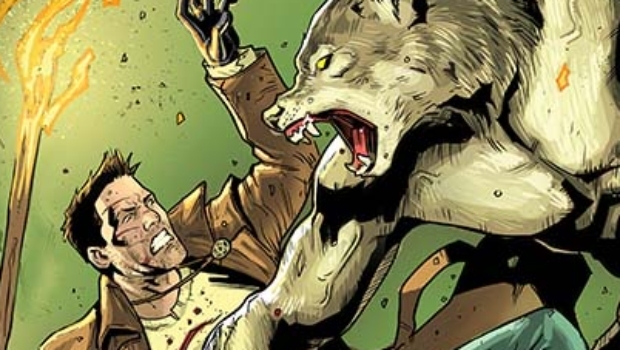 Dog Men is a great addition to The Dresden Files collection and most fans will want to read it. While I usually prefer to collect the actual comic books, I do like to get the Dresden Files trades because they look great on the shelf next to the novels. For anyone who hasn’t read any Dresden Files novels or comic books yet, this may not be the best one to pick up first. Dresden goes through some significant changes in this one, and the story is that much more gripping if you’ve read Small Favor and Down Town first. For a lot of fans (and as is often the case when novels are adapted in any forms), adaptations rarely live up to the originals, but the graphic novels feel and read like the real thing. And Dog Men is no exception.